Such a warm-hearted way to greet the mailman each day! 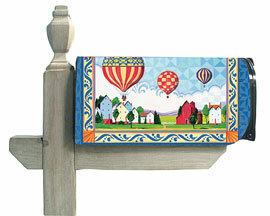 Magnetic mail box wrap attaches easily to most standard metal mail boxes, adds instant style! Approximately 11″ x 18″ overall.